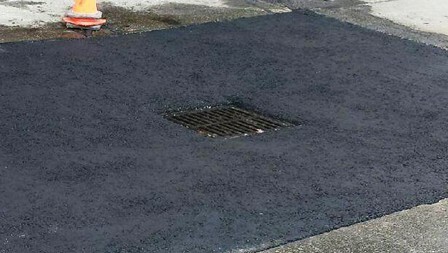 As catch basins and manholes are located in the low area of any asphalt surface, they require regular maintenance to ensure water continues to flow easily over them. Forest Contractors uses precast asphalt rings to adjust grade heights and to replace the brick and mortar that may have deteriorated due to erosion. A sign of deterioration is cracked and/or webbed asphalt at the surface of these catch basins or manholes. When these red flags arise, Forest Contractors' efficient team is able to fix the problem quickly, efficiently, and with unmatched expertise. There is a series of steps to be taken in the construction of new pavement. From supplying and compacting the right granular and asphalt mixes for the various construction applications to creating a sub-base, each step is vital to the life expectancy of any type of asphalt surface. 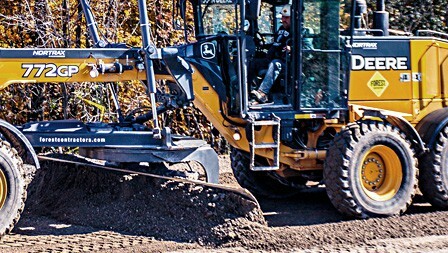 Forest Contractors has the quality tools required to create a strong surface, along with heavy compaction equipment and rubber break rollers to make a superior finish. We consider water to be the most destructive element to pavement. 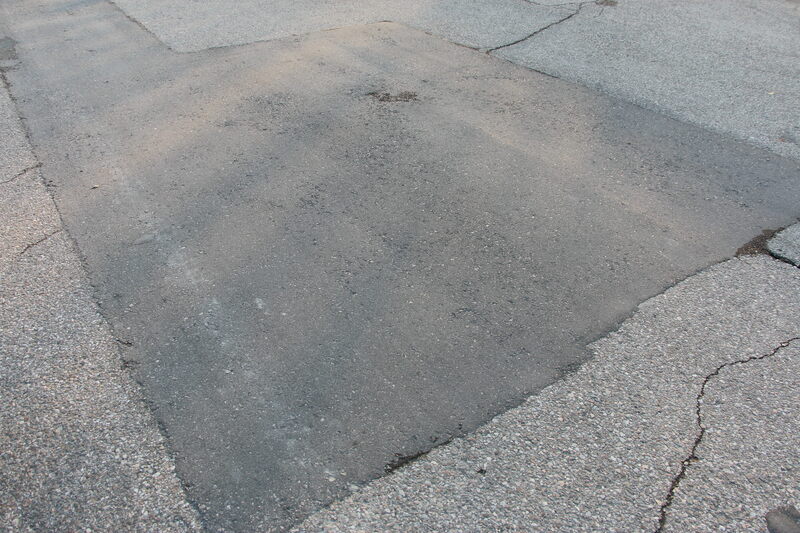 Water leaks into the pavement’s base and sub-base layers through cracks in the surface. It is crucial to prevent this from happening in order to preserve and extend the life of your pavement, whether it is for a residential driveway, a commercial or business parking lot, a road or a pathway. Using asphalt for pathways is an economically sound and beautiful alternative to traditional paving. Asphalt paving creates a smooth, stunning surface for walkways, trails and areas with light vehicle traffic. 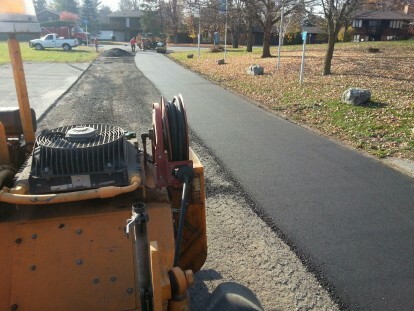 At Forest Contractors, we install our pathways with a machine that is level to the surface in order to enhance the quality and esthetic of the pavement. From municipal parks to the pathways running through a residential garden, asphalt creates a strong and attractive foundation for various activities. The lines and markings on our roads are an everyday sight we often take for granted. Imagine the chaos if the streets, highways, and parking lots did not have them. Forest Contractors understands the significance of these lines and markings, and the importance of making them clear and visible to motorists, cyclists and pedestrians alike. Our team follows all municipal bylaws and uses the best technology and products, ensuring that the highest levels of safety and quality standards are met. 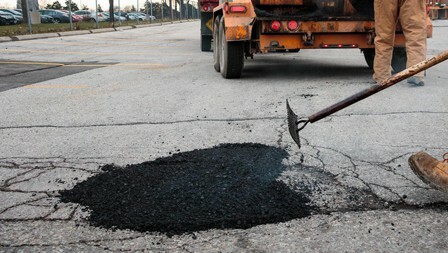 Large cracks and potholes in the pavement are notorious disturbances across towns and cities, especially after harsh seasons. Forest Contractors mends these issues quickly, expertly and efficiently, using top products and applying a thorough understanding to fill these wide cracks or holes. When an area has undergone extensive damage, our team may have to saw-cut and fill it. Regardless of the route taken to solve the problem, Forest Contractors ensures roadways are left safer, smoother and more esthetically sound. 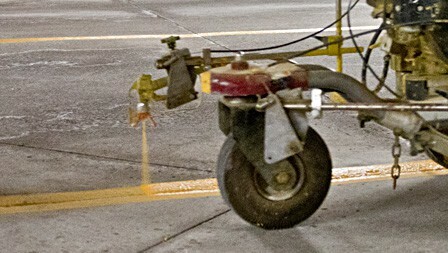 Cracks in the asphalt can be both a disturbance and a hazard for those in transit. 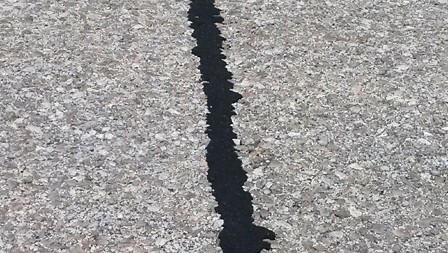 When tending to these cracks, the team at Forest Contractors uses only the highest quality sealant — a flexible, rubberized asphalt that bonds to the crack walls and moves with the pavement. 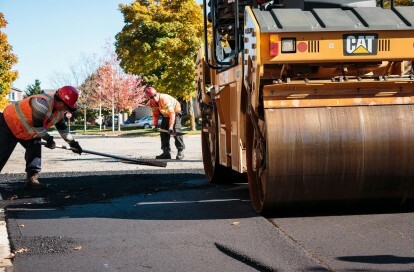 As the seasons change and temperatures fluctuate, this substance expands and contracts as the ground shifts, thereby preventing water intrusion and extending the life of the pavement.